Sayantan Ghosal had shown enough promise with the Byomkesh web-series. He had earlier directed Jawker Dhan in 2017, and here, in his second film as a director, Sayantan looks more promising. Alinagarer Golokdhadha follows the usual adventure-heist story where the lead characters, Soham (Anirban) and his close friend Brishti (Parno), hunt for a buried treasure. The clues to the treasure are hidden in Calcutta’s past, which was renamed Alinagar by the last independent nawab of Bengal Siraj ud-Daulah. 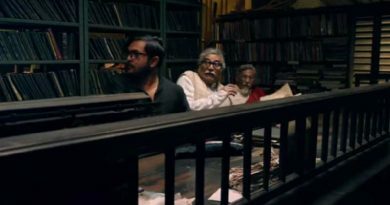 The film is written by Sougata Basu who has carefully weaved the clues into the city’s history and has come up with some brilliant riddles that are superbly rhymed. However, the riddles are one too many, and the viewer often loses track of the connecting links. 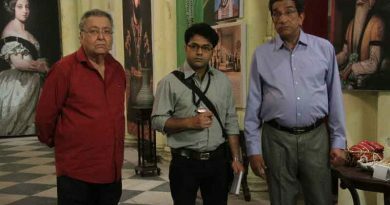 Nonetheless, the interesting insights to the city’s heritage, courtesy the careful research carried out by Sougata and his team, is the major takeaway from the film. Anirban as a student of history and Parno as the daughter of a decadent north Kolkata royal family are convincing. The duo shares a crackling chemistry. Sayantan carefully avoids the usual trappings of exploring their relationship deeper which has often marred many ambitious thrillers in the past. Goutam Halder as the eccentric and greedy bounty hunter is over the top in most scenes. Big screen projects demand restrained performances in a far departure from what an actor does on stage. Kaushik Sen as Brishti’s father is good, but why his scenes are largely confined to a single room, is not really known. Paran Bandopadhyay, as a distant relative of the family, is a scene stealer in every frame. The background music by Meemo is good, though it sounds loud in some places. Drones have been generously used to forge the big-screen adventure effect. While some camera angles look repetitive, Sudipta Majumdar’s lenswork is otherwise sweeping. The narrative in Alinagarer Golokdhadha never falters. At close to 2.20 hours, it manages to keep the audience glued. The director could perhaps consider a franchise in future with his lead pair.